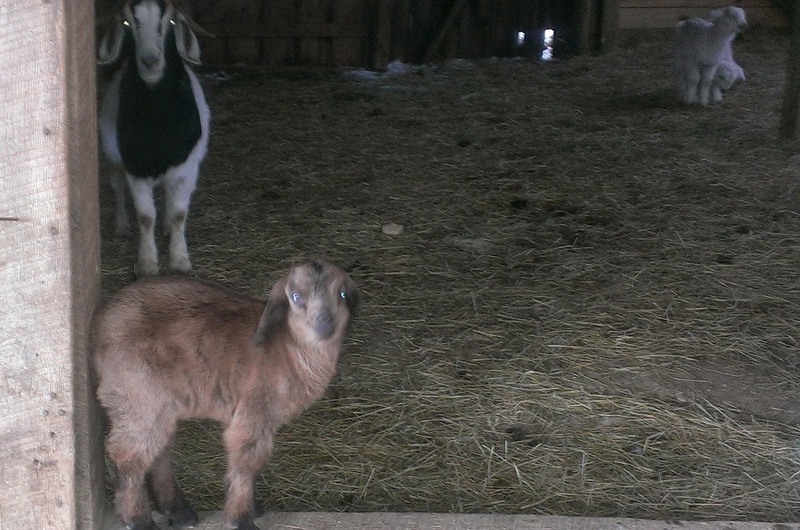 Aurora (foreground) in front of her mom Idriel. Punx (head up) and Tawny in background. 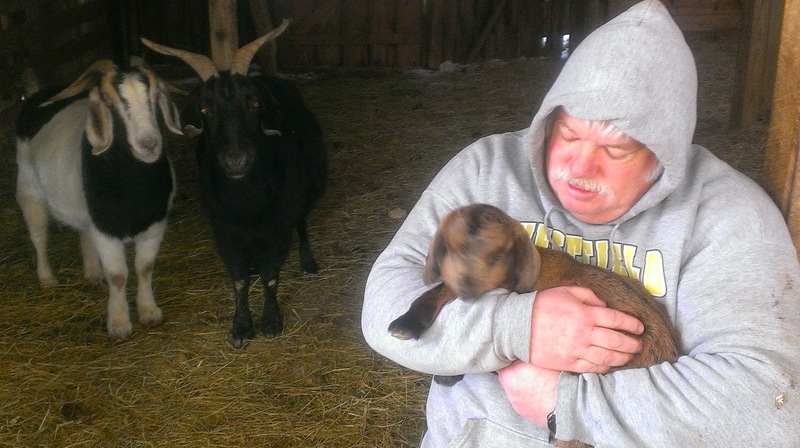 I am pleased to report that in spite of having been born in the middle of the worst cold streak in recent memory, our baby goats are doing great! My husband Chris handled the feedings and treatments while I attended Farpoint -- the drive back was a real lulu for me as I headed into what would become the storm system that caused the governor of Virginia to declare a statewide emergency, but I managed without incident -- and it was wonderful to see how much Aurora and her half sisters had grown in the three days I was away! We are still treating Idriel's e-coli mastitis, but she is now producing enough milk that Aurora has stopped taking supplemental feedings. But she still loves to cuddle and now will crawl up into our laps! Idriel and her mom Luna make sure Aurora is safe with Chris. I am appearing as a guest author at MystiCon 2015 in Roanoke, VA Friday, Feb. 27th until Sunday, March 1st; in fact, the programming committee graciously accepted my panel topic suggestion, "Sequels to 19th Century (and earlier) Fiction," which is scheduled for Sunday afternoon. I will be moderating this panel too! Other panels I've been scheduled for include "Fire the Canon!" (Friday evening, 2/27 alongside Writer Guest of Honor Peter David, about whether or not to rely upon a series' canon when crafting sequels), "Exposition in SF and Fantasy" (noon Saturday), and "Women in Space" (Sunday morning). I will have author signings following "Fire the Canon!" and "Exposition in SF and Fantasy," and an author reading session following "Women in Space." MystiCon has been sold out for several weeks now, but if you have purchased a membership and happen to see me at the con, mention this blog post and I'll give you a copy of one of my novels! If you are planning to attend the Virginia Festival of the Book in Charlottesville, VA later in March, please do make time in your schedule to stop by my Book Fair booth at the Omni Hotel on 21 March. 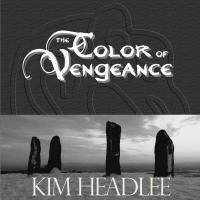 Same offer applies: mention of this blog post is good for a free copy of one of my novels. My new weekly blog feature, #SundaySnippets, features serial excerpts from my work-in-progress, Raging Sea. It's up to Chapter 1, Scene 4, but no worries if you have missed reading earlier installments; each excerpt contains links to the previous ones. 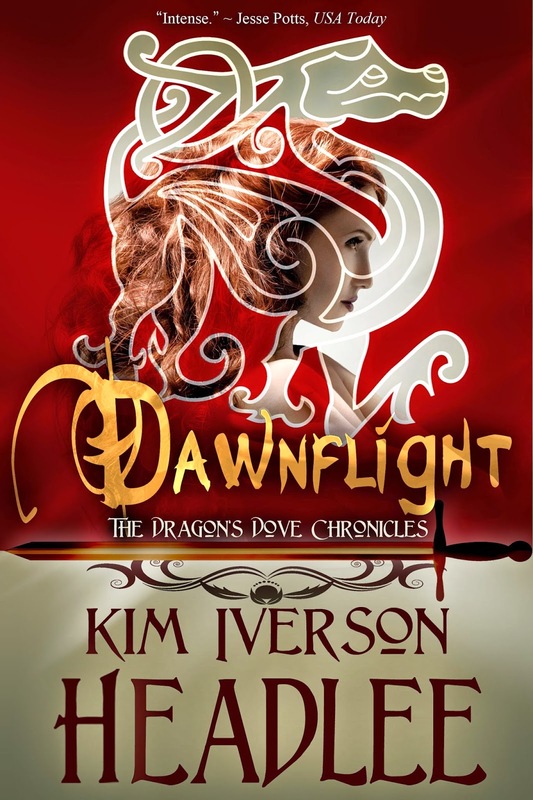 March 2nd - April 4th, Dawnflight will be on tour. Stay tuned for an announcement of the tour schedule! 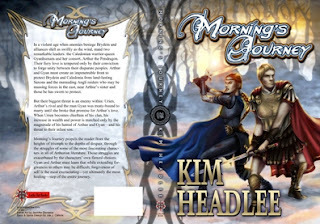 Its sequel Morning's Journey goes on tour in April, and Liberty follows in May. I will post the Morning's Journey tour signup link as soon as I receive it, but if you're interested in signing up for the Liberty tour (and I'm most grateful if you do), that signup form is here. 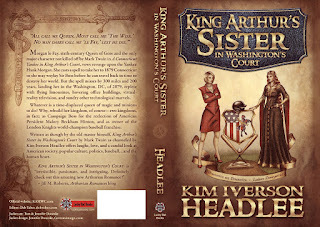 If you're a blogger, you're connected on Triberr, and you blog about the Arthurian Legends, even if it's only occasionally, take a peek at my new Triberr tribe, the Arthurverse (#Arthurverse)! 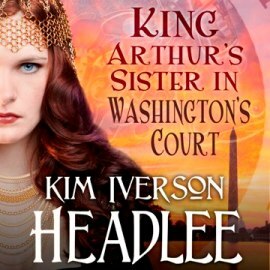 I've found that Triberr is a great way to boost blog post views, and I'm happy to welcome new members who share my love for the Arthurian legends. And I'm always on the lookout for more members to join my Street Team! All missions (mainly of the online variety, at present) are optional, but team members earn points toward special prizes such as free e-books, autographed print books, audiobooks, artwork, exclusive sneak peeks, and special mention in my next book! I invite you to join the Facebook group "Kim's All-Stars" and thanks! Today on The Maze, please join me in welcoming mystery author Carole Buggé, who shares her thoughts about muses! It is as thought the ideas and stories are out there somewhere, and I’m just plucking them out of the air, as it were, to write them down. Maybe this is what Jung was talking about when he came up with his notion of archetypes, and it might be what my New Age friends means when they speak of “channeling” spirits or past lives, or whatever. Of course, I don’t buy into that stuff. I believe in the scientific method, so until someone can prove Seth exists, I’ll continue to regard Shirley McLaine as a brilliant actress, but a bit of a wacko. No offense, Shirley – you were amazing in Being There. Best masturbation scene ever – you totally rock. Thanks for sharing your musings about muses, Carole! 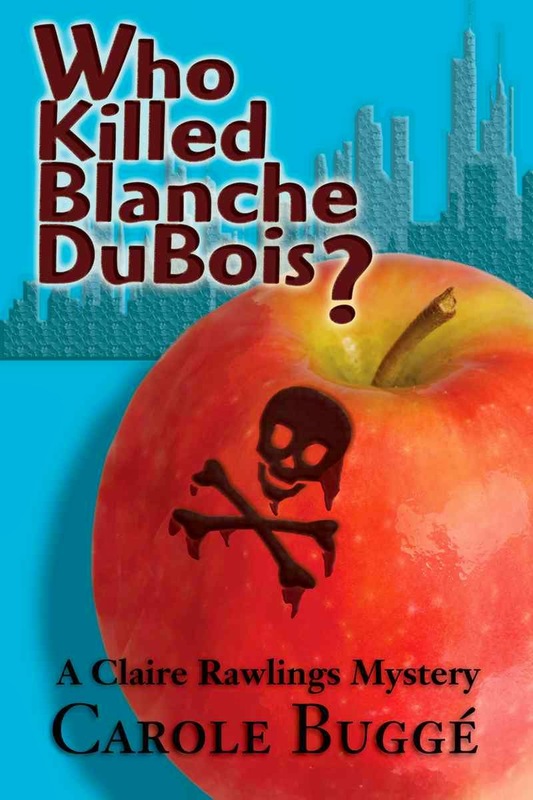 Carole is the author of, among many other works, Who Killed Blanche DuBois?, a cozy mystery that I'm pleased to spotlight on The Maze today. Editor Claire Rawlings is determined to learn who wrote her star author out of the Big Apple storyline--permanently, and she enlists the aid of her young friend Meredith in finding the culprit. CAROLE BUGGÉ (C. E. LAWRENCE) has nine published novels, six novellas and a dozen or so short stories and poems. Many of her works appear in translation internationally. Winner of both the Euphoria Poetry Competition and the Eve of St. Agnes Poetry Award, she is a two time Pushcart Poetry Prize nominee and First Prize winner of the Maxim Mazumdar Playwriting Competition, the Chronogram Literary Fiction Prize, Jerry Jazz Musician Short Fiction Award, and the Jean Paiva Memorial Fiction Award. She was a finalist in the McClaren, MSU and Henrico Playwriting Competitions, and was nominated for a New York Innovative Theatre Award. Her plays and musicals have been presented in New York City at The Players Club, Manhattan Punchline, Pulse Theatre, The Van Dam Street Playhouse, Love Creek, Playwrights Horizons, HERE, the Episcopal Actors’ Guild, the Jan Hus Theatre, Lakota Theatre, The Open Book, The 78th Street Theatre, Genesius Guild, the 14th Street Y, and Shotgun Productions, as well as internationally, including the Alleyway Theatre, the Fairfield Theatre, The Bay Street Theatre, Actors and Writers, and the Byrdcliffe Theatre. She was sponsored by The Paper Mill Playhouse for a TCG Playwriting Award two years in a row, and was a Playwriting Fellowship finalist at Manhattan Theatre Club. I am pleased to kick off this year's #EggcerptExchange with a spotlight on The Jewels of Warwick by Diana Rubino! Her road to its publication is an inspiring one for writers at all career stages. #Amethyst is Feb's #birthstone. Buy The Jewels of Warwick by @DianaLRubino for $0.99 in honor of heroine Amethyst! 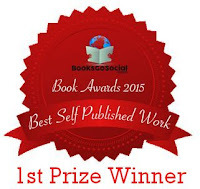 Hi all published and aspiring authors. I’m Diana Rubino, author of 18 historical and paranormal novels. My publishers are The Wild Rose Press and Solstice Publishing. Because I’m a huge history buff, I decided to write a historical, which became The Jewels of Warwick, set around Henry VIII and a fictional mistress. Jewels took 2 years to research and write, with no Internet. This was 1990. It came very close to publication with several romance houses, but missed the mark for containing too little romance. When I finished Jewels, I scoured the history books for another legendary figure to write about. While I browsed the Cambridge Library stacks, a book snagged my eye. Lying, not standing, on the wrong shelf was Crown of Roses by Valerie Anand. It drew me like a magnet. Richard III is a central character in the story, and the author thanks ‘the Richard III Society’ for helping her. Who’s this Richard III Society? I wondered. Already hooked on Richard, his tragic death at 32 and his reputation as a usurper and a murderer of his little nephews, I joined this Richard III Society through snail mail, no internet. I never felt I had enough information to convey at a workshop, but I can tell aspiring authors to make sure the opening is a grabber, make sure the reader will care about the characters, make sure the novel is structured well, so that it doesn't have a sagging middle or any pacing problems, make sure the stakes are high enough so they're in life or death situations that it seems they can't possibly get out of, make sure the secondary characters aren't mere cardboard, and humor always helps. One huge technical rule: show, don’t tell. But the #1 rule I learned is that you must convey emotion. Make the reader FEEL what these characters are feeling. I don’t have any one favorite author, but there are authors whose books I’ll buy if their name is on them. That includes Doug Preston & Lincoln Child (they write great thrillers together), Barbara Erskine (very eerie paranormals set in Essex, England), and Bertrice Small. She never disappoints. For conveying emotion, Lorraine Heath has a unique talent for this. I’ve never had a deadline from a publisher, but I’d once sent an agent the first 3 chapters of my vampire romance. He said he’d like to see the entire ms., so I wrote 5,000 words a day till it was finished. He later rejected it. Oh, well. But at least I know I’m capable of turning out 5,000 words a day. My usual output is 2,500 words a day. In my ‘other’ life, I own an engineering business with my husband, based in Cambridge. 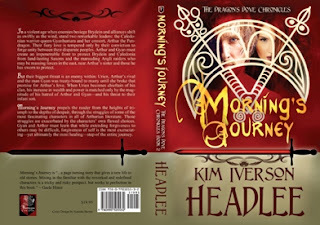 "But, my lord, I realize how I missed you!” Amethyst rushed up to King Henry till they stood within kissing distance. “I've made up my mind. I want to marry you! I accept your marriage proposal...I do not want to keep you waiting a moment longer. I do not care if you are not yet divorced. I accept and I shall wait as long as I need to." He looked away and the orange citrines in his cap caught the fire's glow. "I have put the preliminary steps of my break with Rome into effect." "Which means what?" He never got right to the point, one of his annoying traits. "I shall be free to marry in a few months' time," he said. "Oh, sire!” She went to grab his arms, but held back. “That's grand, sire. We shall be married by spring!" He shook his head. His eyes darted everywhere. "We cannot be married at all, Amethyst." Her heart crashed. She fought a rising sickness. "Why not?" she managed to choke out. "I must marry Anne.” He spoke so low she could barely hear him. “She believes she is with child." 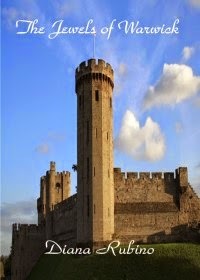 THE JEWELS OF WARWICK was just re-published with Solstice Publishing and is available in print, and for Kindle. and follow Diana on Twitter @DianaLRubino. Thank you, Diana, for sharing with us. I hope you keep writing and never give up too! Her dark, languid eyes say, "I love you." Her soft brown hair with lovely black streaks shimmers in the sun. She has a tease in her step and a fetching voice. She loves to cuddle. Her name is Aurora. Aurora is one of three kids born on our farm since Groundhog Day. A sibling and two half siblings didn't make it. And life goes on. Aurora's mom Idriel, who declined to pose for this picture, is recovering from a case of e-coli mastitis that almost killed her, so we are feeding Aurora formula supplements every few hours. Idriel is still on antibiotics, we have to "strip" (i.e., milk) out the infected fluid as often as she will let us, and we're applying salve to the lone affected teat at least once a day. Grand-goat Luna, Idriel's mom, is a riot as she tries to "help" us and acts as Aurora's main protector while Idriel rebuilds her strength. The other twin kids, white-blond Groundhog Day babies Punx and Tawny, and their mom Phoebe are all doing great; no extra help required for them. I handle Aurora's feedings solo while my husband Chris is at school. He's been coming home earlier than usual these days, though, because he enjoys the process as much as I do. But he will have to manage this and other chores while I'm appearing as a guest author at this year's Farpoint Convention in Hunt Valley, MD outside Baltimore. Ever since our daughter started volunteering at the con several years ago, Chris & I have treated the weekend as a lovely little midwinter break, whether we actually attend the con or not. Most years I schedule a spa day! This is the first year that I've been invited as a guest, we had lined up the neighbors to feed the animals, including Aurora, and we were looking forward to another great weekend away together... until Mother Nature decided that she had other ideas. With forecast temperatures in the single digits and 30-50 mph winds, there was no way Chris was going to leave Aurora, Punx, Tawny, their moms, and the rest of the herd to risk those fierce conditions without someone being around 24x7 to look after them and their Great Pyrenees guardian dogs. 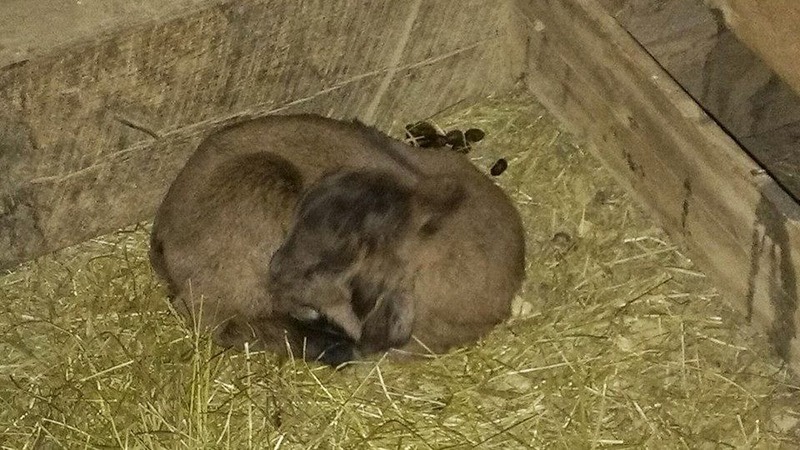 So he's still going to be taking his planned day off on Friday, but he'll be using it to stack hay bales as wind breaks outside the barn... and, of course, feed Aurora and hang out with her half sisters. Weather, traffic, and other forces willing, I will arrive at the con in plenty of time to rest up for my first appearance, Friday night at 10:00 p.m. at the Farpoint Book Fair. I've blocked off Saturday afternoon as my spa day, and I plan to devote Sunday to working on my WIP Raging Sea, to keep ahead of my weekly #SundaySnippets here on The Maze, before heading home Monday -- just before Mother Nature is scheduled to dump several inches of snow on our farm. Please wish me -- and Chris -- luck! You could file this post under the heading of "throwback," since it's a reblog of a review that was written almost ten years ago. I had forgotten just how fantastic this review was—and subsequent events have put an even more poignant spin on it for me. 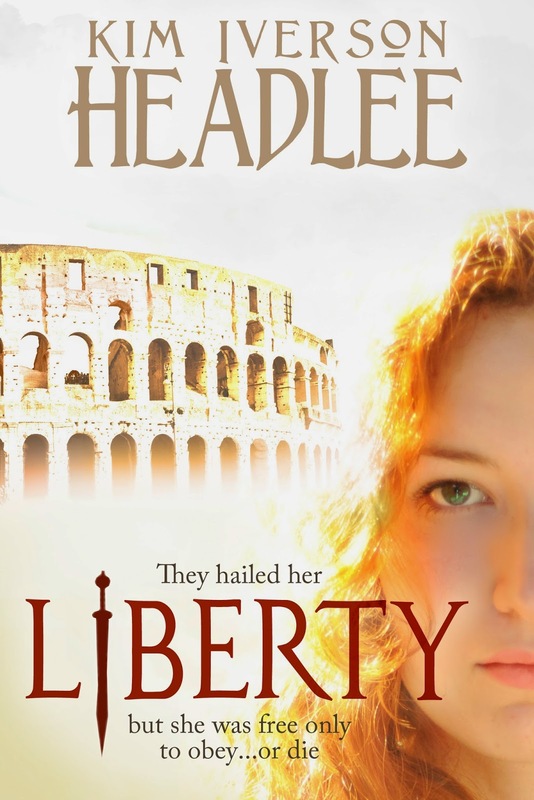 The review's author, I found out recently, had been working on his own female-gladiator novel when he decided to read and review the HQN Books edition of Liberty in 2006. The content of his web site gladiatrix.info had led me to believe at the time that he held no more than an academic interest in the subject of women arena fighters in ancient Rome, and for good reason. The publication of his novel Gladiatrix was yet two years off; I rather suspect that he hadn't even received a contract offer for it yet, or else I'm sure that announcement would have been posted on the day I read his review. Fast-forward an octet of years to the fall of 2014. It had been so long since I had read Whitfield's Liberty review, and it hadn't been cross-posted to sites like Amazon and Goodreads, that I didn't connect the two at first. 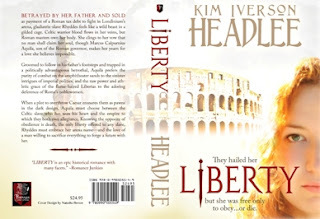 I just loved the cover of Gladiatrix, and shared it with my cover designer as inspiration for the Liberty reboot. In the course of creating Liberty advertising materials this week for distribution at upcoming appearances, my publicist pulled a quote from Whitfield's review, which sent me back to gladiatrix.info to read the full text. 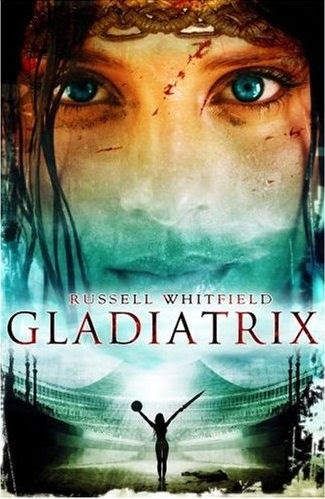 There, for the first time, I saw the connection with his novel Gladiatrix. The fact that Whitfield had written such a terrific review of a work that could be perceived as competition with his as-yet unpublished novel makes me all the more appreciative of his words about Liberty today. "Liberty" by Kimberly Iverson is published by HQN—"we are romance." I'll admit to being slightly sceptical about this, expecting nothing more than a Mills and Boon exercise with standard romance characters dressed in Roman cloth—more costume drama than historical adventure. 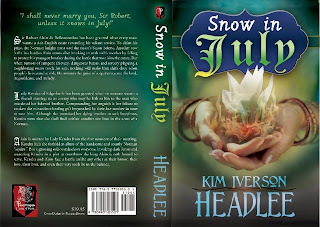 Not that there's anything wrong with Romance Historicals, they're just not my cup of tea. Or at least, they weren't until I read "Liberty." Iverson, I think, has transcended HQN's genre, producing a pacey, action-packed work of epic proportions (it weighs in at hefty 485 pages, and is worth every penny of the price tag). 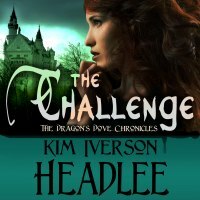 I love the premise—Iverson, inspired by the Dover Street Woman findings, decided that the gladiatrix deserved a back story, and provides it here in satisfying spades. Anyone who knows their history will realise that "Liberty" is painstakingly researched; and anyone who doesn't won't need to—a testament of Iverson's skill as a writer. There's more than enough in there to keep visitors to this website happy—the action scenes don't hold back—they're bloody, brutal and realistic as they should be, but never gratuitous. Conversely, the love story between Rhyddes and Aquila is never cloying or overdone; it's a realistic take on love across the social divide. One of "Liberty's" greatest strengths is the array of rich and fully-realised supporting characters; in many books it's easy to focus on the main protagonists and forget about the rest, but Iverson does not allow that. Indeed, the villain of her piece is a sympathetic character in the end. Certainly, his actions and his goals are totally understandable; you or I would do the same thing in his place, and this raises him far above the level of moustache-twirling bad-guy. Additionally, I think that the cover-blurb does one of the characters (Messiena) a bit of disservice. She is far from a simpering Roman noble woman, and indeed, she was one of my favourite characters. The same can be said of Aquila's mother —understanding, yes—simpering, not in the least. If I had one criticism of "Liberty," it would be the employment of archaic dialogue when the scenes are from Rhyddes' point of view. Certainly, I can see the literary device employed here, and this style does differentiate Celt from Roman. It's a personal choice, I guess—"mayhap" and "'twas" and other such expressions aren't necessary in what is such a great book—at least in my view. However, that said, its really minor point didn't detract from the enjoyment of the work. Iverson's biographical notes say that "Liberty" is the first of what she hopes to be many offerings to the romance community. I suspect this tag has more to do with HQN than Iverson herself. "Liberty" is far more than a romance novel, and to brand it as one limits its appeal. It is a fine piece of fiction that manages to successfully cross over two genres in a satisfactory manner. A well-researched novel that deserves a place on any fan of the historical genre's shelf, I would advise anyone that visits this website to purchase a copy—you will not be disappointed! For the record, I wasn't best pleased with the adjective "simpering" either, so for the new synopsis I substituted "adoring," which describes Messiena's feelings for Aquila a lot more accurately. For the full text of the new synopsis and other information about the second edition of Liberty, please click its tab at the top of my blog! and I wish you every success for all of your works! Today on The Maze, everybody deserves One More Second Chance by Jana Richards! When Jana Richards read her first romance novel, she immediately knew two things: she had to commit the stories running through her head to paper, and they had to end with a happily ever after. She also knew she’d found what she was meant to do. Since then she’s never met a romance genre she didn’t like. She writes contemporary romance, romantic suspense, and historical romance set in World War Two, in lengths ranging from short story to full length novel. 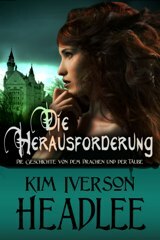 Just for fun, she throws in generous helpings of humor, and the occasional dash of the paranormal. Her paranormal romantic suspense Seeing Things was a 2008 EPPIE finalist. "The True Picture of One Pict"
Plotter or pantser? I've been seeing that question asked of authors a lot lately. Me, I pants -- by the seat of my plot. This means that I develop a 20-30 page plot treatment before typing "Chapter 1" on the page, but I give myself permission to deviate from the outline as the situation warrants. This did not always characterize my writing process. 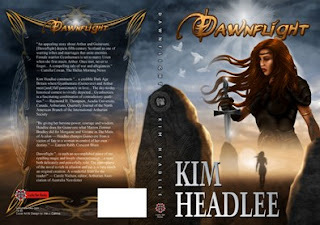 My first novel, Dawnflight (1st edition published by Simon & Schuster in 1999, ISBN 067102041; 2nd edition available in print, audiobook, and e-book) was written seat-of-the-pants fashion, with only a skeletal timeline of births, deaths, marriages, and battles that spanned my entire series as a reference. Its first draft was only 70K words; the Simon & Schuster edition, published ten years later almost to the day, contained 120K. So now I pants by the seat of my plot, and write the book from start to finish based upon my comprehensive outline. With such a tool the book pretty much writes itself, as was the case with Liberty (by Kimberly Iverson, HQN Books, 2006, ISBN 0373771347; 2nd edition available as e-book and soon in print). But what happens when I get a fabulous idea for a scene that fits the plot outline but must occur much later in the book than I'm at in my page count? Sometimes I just drop a note into the outline and go on. 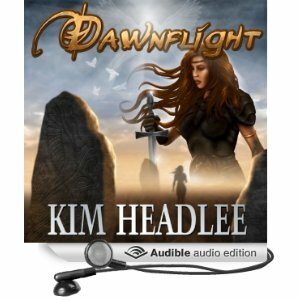 I've had the entire plot arc for the 8-book series The Dragon's Dove Chronicles (of which Dawnflight is book 1 and its sequel, Morning's Journey, is also available in e-book and in print) rattling around in my head for more than a quarter of a century, so I have had a lot of practice remembering things. However, I'm also that much older now, so I'm less willing to leave crucial details to the vagaries of my dying brain cells.While on an airplane last summer I had a wonderful conversation with a military linguist that sparked an idea I wanted to incorporate in to my series... but since I didn't write it down, it went the way of some of those now defunct brain cells. This is where my world-building tools come in handy. 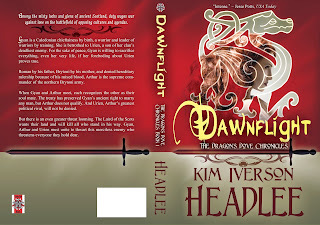 With a series like The Dragon's Dove Chronicles, the timeline of which spans at least 75 years, tracking major and semimajor characters hailing from five different cultures (six, if you want to put the Romanized Celts in a different class than their un-Romanized neighbors), which includes significant linguistic elements adapted from all six (including Latin), a master glossary has become an absolute must for me to maintain. By now you're probably wondering when I will get around to explaining why I have decorated this post with "The True Picture of One Pict." I'm glad you asked! 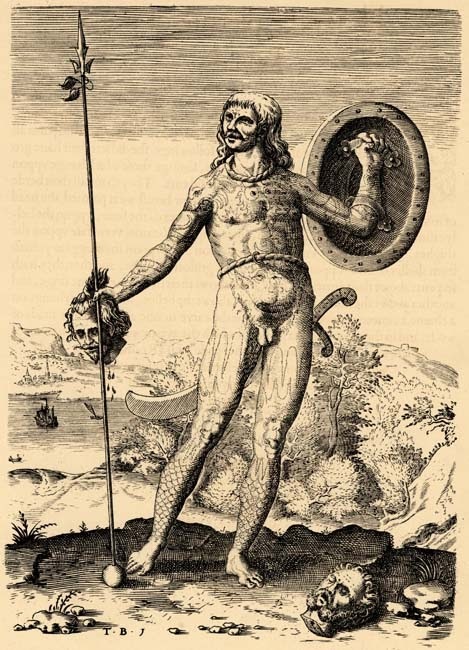 I have been fascinated by this image ever since I first saw it decades ago, during the earliest stages of my research, but I had always written it off as sheer fantasy: i.e., a charming curiosity that I had never intended to utilize in my fiction. Until last night... when the aforementioned fabulous idea hit me: for a pivotal scene to be incorporated at about the 80% point of my current work-in-progress, Raging Sea (The Dragon's Dove Chronicles, book 3), that pays homage to this 400+ year old image while remaining faithful to the cultural and sociological parameters I have already established in my series. For the record, I am at about the 20% point in terms of my projected word count of Raging Sea. Now I can't wait to dive back in to my WIP so I can reach this point in my story as soon as possible! 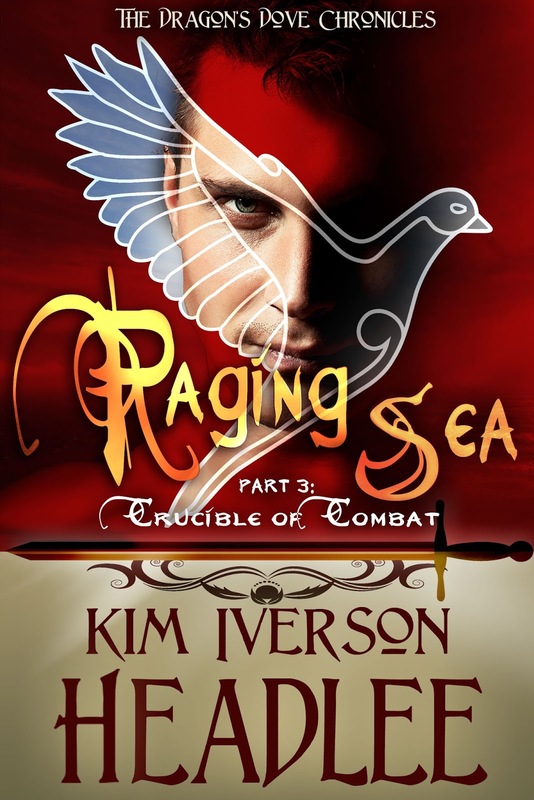 If you would like to read more about Angusel and his ancient Pictish/Celtic/Roman world, I invite you to check out my new #SundaySnippets weekly feature, where I post a scene from Raging Sea, starting with Chapter 1, Scene 1.